When we wrote about the uptick in the appearance of co-living developments across the country last month, we explored some of the reasons for their popularity with occupants: all-inclusive services and amenities — like on-site gym/pool, free wi-fi, linens and weekly housekeeping, etc. — plus a built-in sense of community, with shared space for both work and social gatherings. Aging Baby Boomers, young freelancers, digital entrepreneurs, empty nesters leaving big suburban homes to return to life in the city — those who opt for the co-living lifestyle seem willing to pay a little more to live in tiny apartments when the units come with all these added benefits. 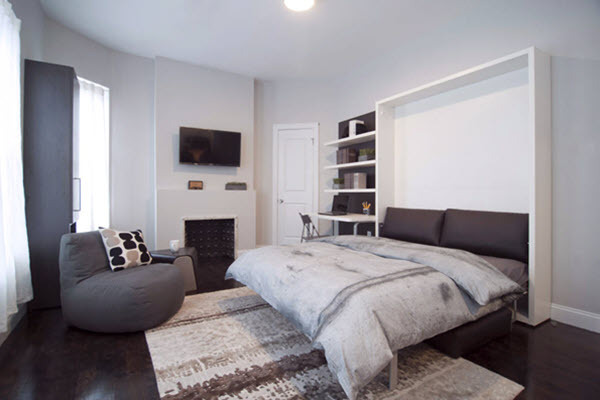 Real estate developers investing in micro apartments are reaping the benefits, too; especially those who have taken time to understand the housing needs of the community and have conducted research to determine the potential return on investment. 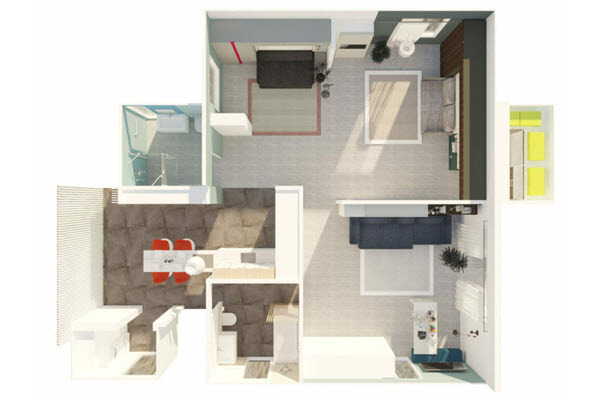 A developer considering a micro-unit project might be tempted to compare the costs of constructing a single-family home against another with identical features and finishes but with fewer square feet, but when trying to calculate ROI for the development of micro apartments in multi-family buildings, cost comparisons for unit sizes get more complicated. In multi-family dwellings, constructing smaller units results in more units per building, which means a higher overall cost to the developer for additional kitchens and bathrooms. One case study estimated these additional costs run between 5-10% per square foot. But smaller, more efficiently-designed units are commanding more revenue per square foot than traditional apartment layouts. The increased cost of construction and additional operating expenses are easily offset by the 25% increase in revenue per square foot that occupants have demonstrated they are willing to pay. 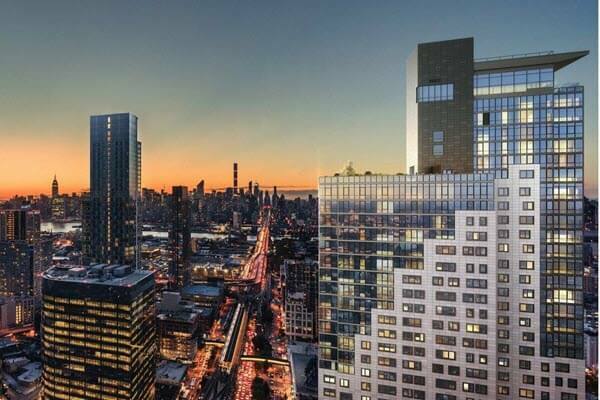 Where developers have shaved off a few square feet while maintaining a high level of aesthetics of the unit, the financial rewards have become evident. In 2014, Weissman Equities renovated a five-story walk-up in New York City’s Harlem neighborhood where annual rents averaged roughly $35 per square foot. Upon opening, the furnished 150-225 square-foot micro units were fetching $70 per square foot—double the local average and well above original projections. Successful micro unit developers carefully consider all the factors that play a role in the marketability of such projects: location, amenity spaces, design and interior functionality. Design and functionality are two of the areas where Resource Furniture becomes an integral part of the development plan. Traditional furniture doesn’t work in micro units; occupants tend to feel cramped by the oversized, static nature of the pieces. Transforming furniture, like the Italian-made queen wall bed/sofa combination and convertible desk/dining tables installed in the Harlem units, allow the space to function like an apartment twice the size. Local governments and municipal planning groups around the U.S. and Canada have been exploring whether these tiny dwellings can help ease homelessness and affordable housing issues, especially in urban areas. NYU’s Furman Center for Real Estate and Public Policy recently published a study that considers whether New York needs an updated housing model that helps meet the need that SROs – single room occupancies — filled during the last century. The report analyzes the benefits, risks, and challenges of reintroducing small housing units (self-contained micro units and efficiency units with shared facilities) to examine how they might help meet the demand for affordable housing. Modeling the development, operating costs, and correlating rents for a 160 square-foot micro unit with shared bathroom and kitchen, Furman Center concluded that these units could be rented for $840/month – a rent considered affordable to someone earning 51 percent of the area’s median income — and still remain profitable for the developer. Rendering of Nohona Hale Micro-units in Kakaako (Hawaii), an EAH Housing and Bronx Pro development. This past summer, Honolulu broke ground on Hawaii’s first affordable “micro-housing” complex. EAH Housing — the non-profit group managing the Honolulu project – is also highly active in the development of high-density housing throughout California for lower income individuals: older adults, veterans, persons with disabilities, and students. Organizations like EAH seek to address the housing crisis by ensuring that properties are well-designed and built to be sustainable. Here again, Resource Furniture plays a role. At the heart of our work is a deep-rooted passion for intentional design and mindful, sustainable living. We are firmly committed to sponsoring, mentoring and supporting non-profit organizations and educational institutions and programs that focus on the increasingly important issues associated with housing and sustainability.